2 Coronavirus nsp7–10: Small but Critical Regulatory Subunits? 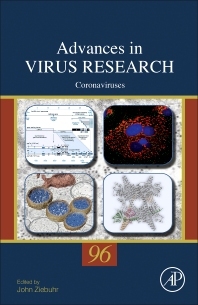 Coronaviruses, the latest volume in the Advances in Virus Research series first published in 1953, covers a diverse range of in-depth reviews, providing a valuable overview of the field. This series is a valuable resource for virologists, microbiologists, immunologists, molecular biologists, pathologists, and plant researchers. Professor John Ziebuhr works at the Institute of Medical Virology at Justus Liebig University Giessen.